What role do foundations play in blended finance? The most active foundations in blended finance by number of commitments. Source: Convergence. Last month, the MacArthur Foundation, along with the Rockefeller Foundation and Omidyar Network, launched the Catalytic Capital Consortium. The Consortium has dedicated up to $150 million to invest in funds or intermediaries that demonstrate a powerful use of catalytic capital across sectors and geographies. This alliance between three of the most active foundations in blended finance and their commitment to ensuring their capital is catalytic is a groundbreaking development for the blended finance space. Roles foundations can play in blended finance. Source: Convergence. How do these roles play out in the real world? We have identified over 300 different grants and investments from foundations into blended finance transactions, covering the first four roles outlined above. 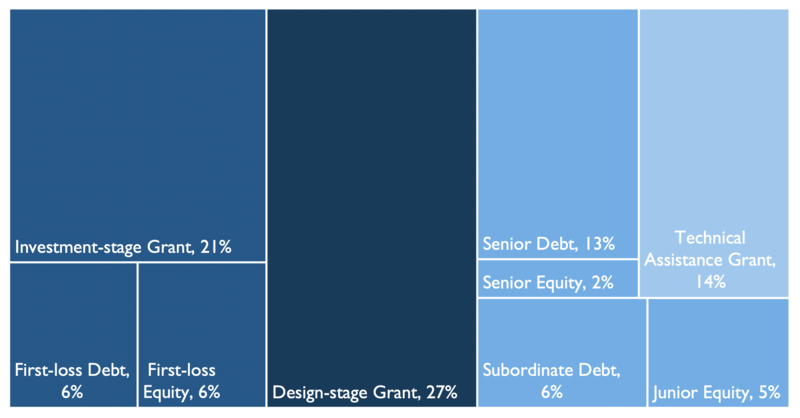 Based on this data, nearly half of foundation activity in blended finance to-date is concentrated across two roles: providing design grants (i.e., role #1: 27%) and grants as catalytic investment capital (i.e., role #2: 21%). Foundations have a reputation for being highly catalytic, providing small amounts of risk capital (e.g., for design or first-loss) that mobilizes large volumes of additional capital. For example, the Shell Foundation provided grant funding to CrossBoundary to cover the establishment costs of CrossBoundary Energy, which ultimately raised ~$30 million. For the Medical Credit Fund, The PharmAccess Foundation provided grant funding for the establishment of the fund, as well as first-loss capital to catalyze additional investment; the fund has raised $50 million to-date. Foundations are important members in Convergence's network, and we work closely with them to build the blended finance market. Through our Design Funding program, we work closely with the Rockefeller Foundation’s innovative finance team and their Zero Gap initiative, which provides early-stage support for the R&D and testing of the next generation of innovative finance vehicles using grant and PRI funds. Through this initiative, the Foundation has supported the development of a large number of game-changing solutions. For example, the Rockefeller Foundation has been the anchor supporter behind Africa GreenCo, which aims to be a creditworthy intermediary between independent renewable energy projects and state utilities, ultimately attracting private investment to underlying projects. Convergence also provided design funding to Africa GreenCo. Recently some foundations have tapped into an additional pool of capital by aligning their endowment investments with their mission. Endowment investments have traditionally been directed to commercial investments with no impact lens, where the primary objective is to maximize returns. This is serious capital we’re talking about - according to Willis Watson, the top 25 endowment funds have invested over $80 billion in alternative assets, the asset class most aligned to blended finance transactions. One example is the Ford Foundation’s commitment to invest $1 billion from its endowment into mission-related investments. In 2017, the F.B. Heron Foundation announced that it had fully aligned its $250 million endowment with its mission of fighting poverty. This emerging movement represents a significant opportunity for blended finance, because it means that foundations can play a role at both ends of a transaction. 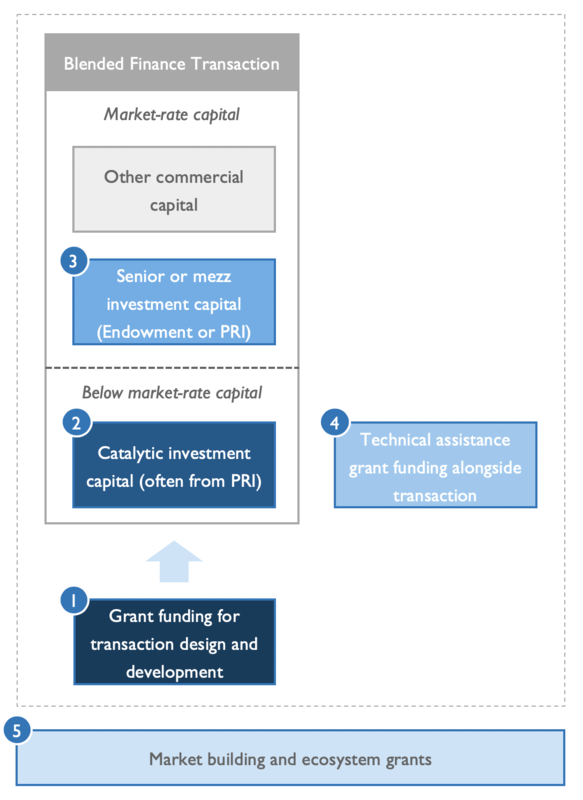 For example, transactions that foundations catalyze through grant funding and early-stage risk capital can ultimately attract commercial participation from the foundation’s endowment. Whether deploying catalytic or commercial capital, it’s safe to say that foundations have a unique and additional role to play in blended finance. Still, there is greater potential for foundations to think about where and how to strategically deploy patient and flexible capital to mobilize more capital for the Sustainable Development Goals. We hope the seminal Catalytic Capital Consortium inspires more foundations to engage in blended finance and explore the many roles they can take on in the space. Further, we hope that other providers of catalytic capital take inspiration from foundations and their innovative and flexible approach to blended finance. Dean Segell is Associate Director at Convergence. 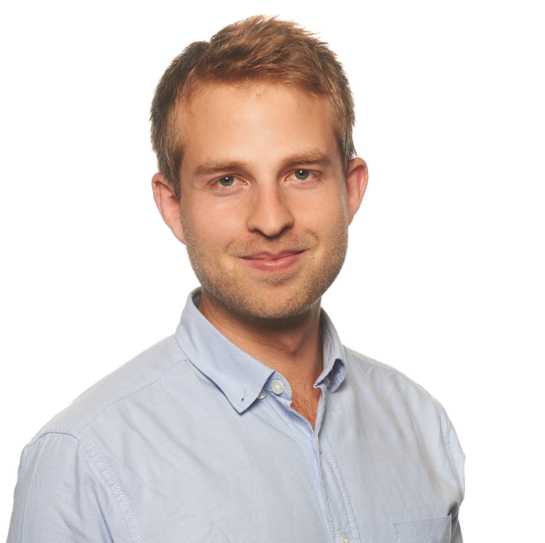 He is responsible for Convergence’s technology platform as well as the organization's data and insight offerings. Prior to Convergence, Dean was a consultant at Dalberg Global Development Advisors in the firm’s Johannesburg and New York offices. At Dalberg, Dean worked on projects across a variety of sectors, including financing for development, agriculture, employment, and SME development. Dean’s clients included MasterCard, JP Morgan, the Gates Foundation, the Rockefeller Foundation, and the Government of Canada. Dean was also on the Dalberg team that designed and launched Convergence. Dean started his career in investment banking in South Africa, where he was part of Nedbank Capital’s equity option sales and trading team. Dean is from South Africa and studied at the University of Cape Town.